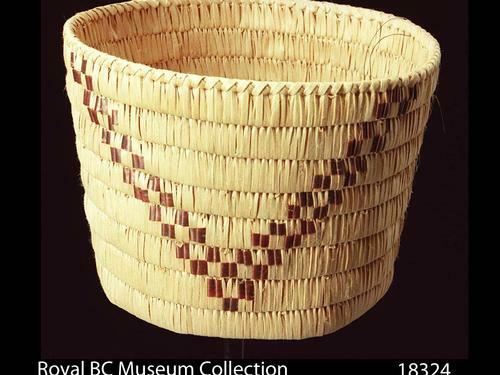 Slat coiled basket shaped like an open cylinder with slightly flaring walls. 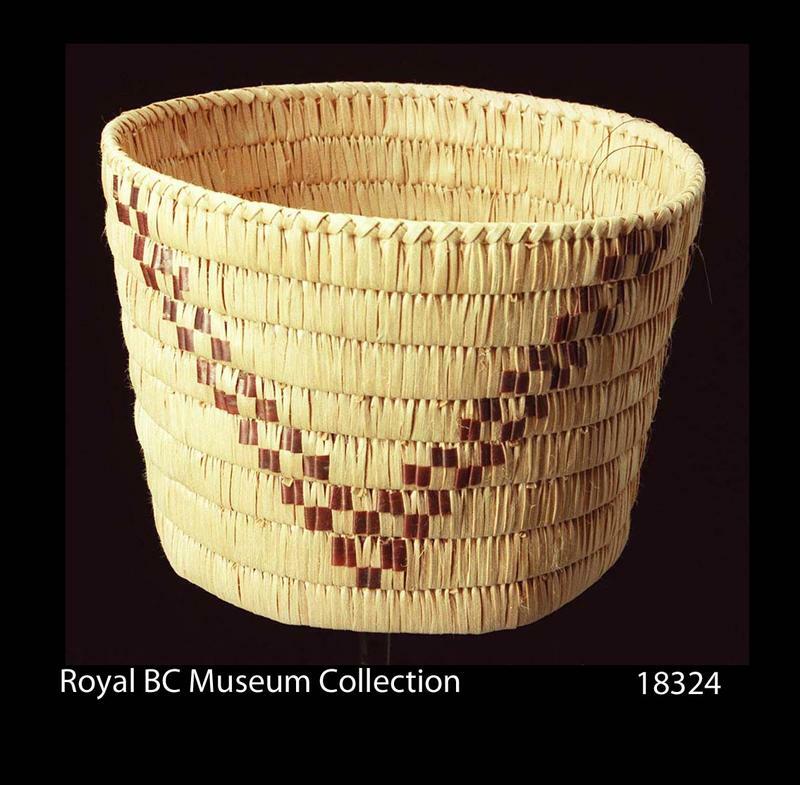 'V' designs on either side of basket created using a split imbrication technique. These 'V's' are separated by two bands of stacked X's (not visible in photo) done in beading.